Another restaurant we visited was called Music Café, which is by the beach side (It’s a really calm beach though, don’t remember seeing any waves). We passed by it on our first day in Mykonos and decided that we had to eat there. 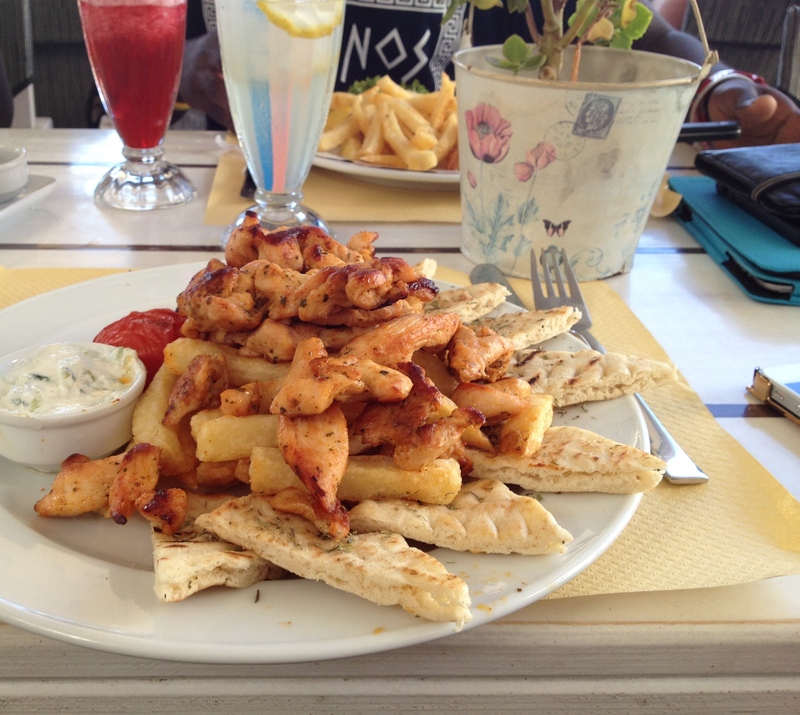 Our orders were carbonara pasta made with fettuccine (or linguine, I can’t remember), gyro chicken and chicken fillet. 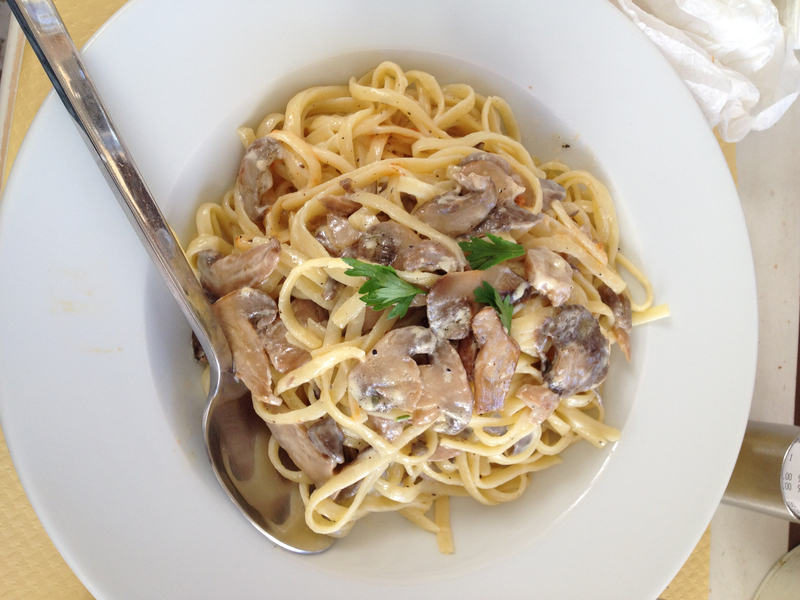 Carbonara Pasta – Who hates mushrooms? 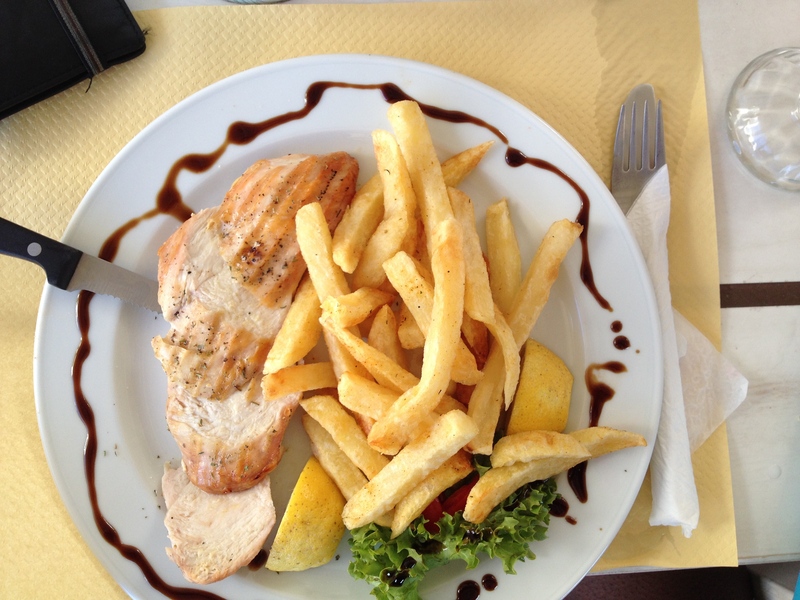 Chicken fillet – I love how neat this dish is. 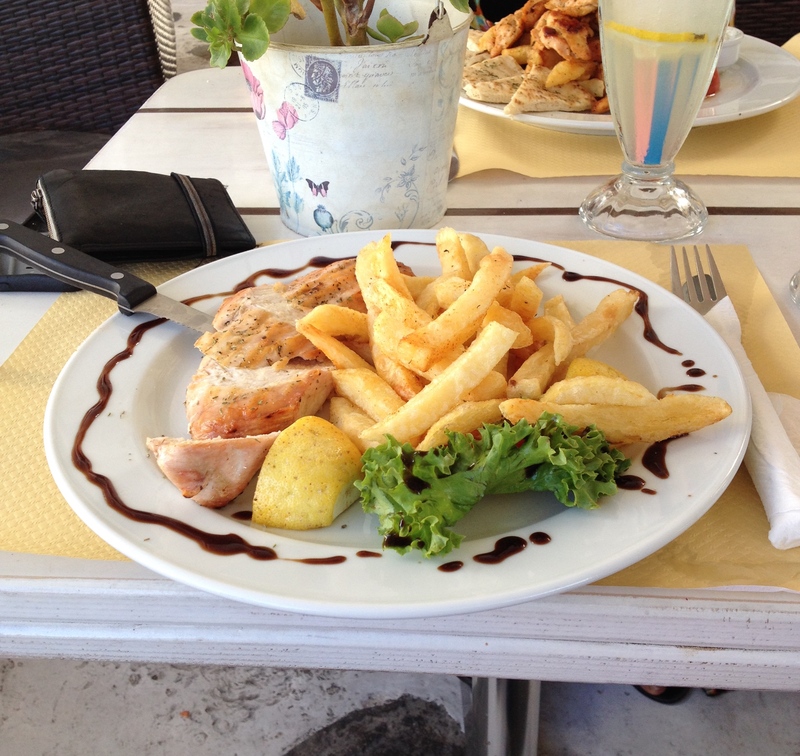 The general consensus was that the gyro chicken was amazing; even better than Ora and I thought Ora was great. And just because I love how neat this dish is, here’s another view. 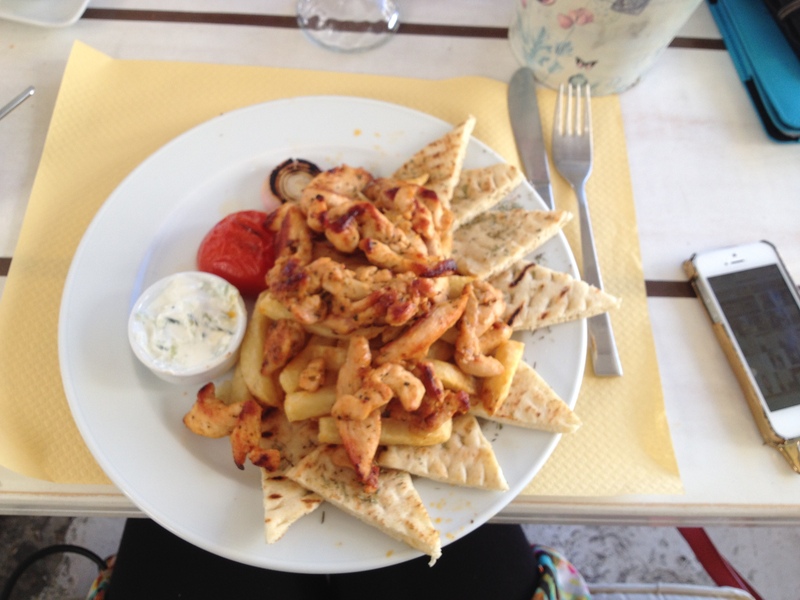 Want a taste of Greece? Why don’t you make your own gyro chicken? Funny enough, I didn’t notice any music aspects to the café. I wonder why they named it that. You are allowing the pictures speak for themselves eh?